Jeremy, one of two incoming seminarians, invited me to watch the Korean film “Assassination” on Aug. 19 at the Loews near the Boston Common. The film recounted the Korean resistance to the Japanese occupation in the early 1930s. Various people and their histories interweave in a plot to kill a Japanese commander and a Korean collaborator in Seoul. Fight scenes in any Asian action film make me leery because they can veer to fantasy. 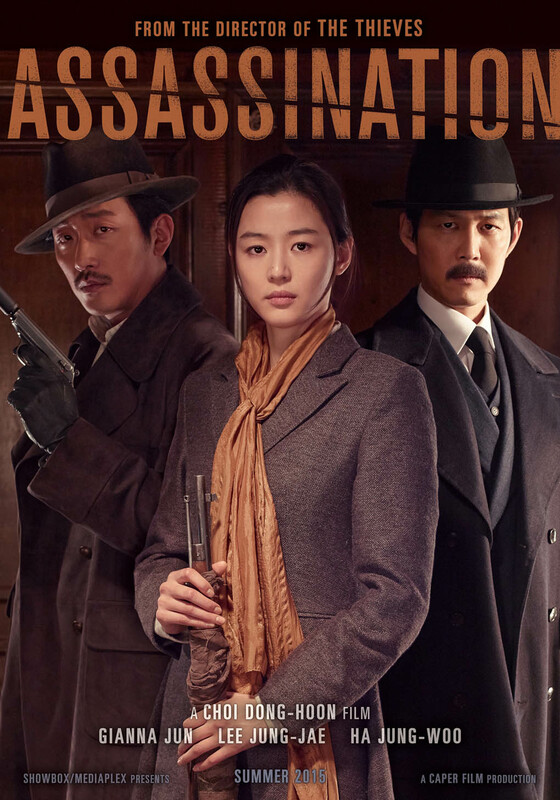 But “Assassination” offers a good counterbalance with its realism. I hadn’t expected much spiritual insights in an action film. But found them I did. One was the sense of divine justice. No matter how long ago a crime was committed, justice will be exacted. This is demonstrated in the fate of two characters. A patriarch had his wife murdered after she had aided the Korean resistance in 1912. That murder brought about his downfall because his daughter would die at his hands and her twin would lead the effort to kill him. Meanwhile, Capt. Yem, the assassination plot organizer and a resistance fighter, would leak the plot to the Japanese. It seemed that he got away with the betrayal once in 1933 and again in his trial in 1949. But Yem will find unexpected grim reapers in the end of the movie. Also, the patriarch and Capt. Yem share the same destructive characteristic of self-interest while the protagonists look beyond themselves to help others. Christianity expands beyond justice on earth to ultimate justice in God’s judgment after death and in end times. But Jeremy raised the point that the movie was catered to an audience who don’t believe in the afterlife. He noticed that all the violence could be linked to a distorted sense of patriotism: the Japanese in their ever expansive push for conquest and the Koreans in their independence fight. Jeremy concludes that the devil had created this perversion in patriotism. I would rather say that anyone who makes patriotism and nationhood a god is bound to create abuse and violence. (Think of Hitler and other dictators.) The jingo becomes his own devil. Freedom is good. But which freedom are we talking about?